The latest project of restaurateur Albert Zheng, who also operates Kabuki Sushi in Market East and nearby Engimono Sushi, has debuted in Fairmount. The new addition, called Engimono Poke & Deli, is located at 2319 Fairmount Ave. (between 23rd and 24th streets). Engimono Poke & Deli has a wide-ranging menu, which includes all-day breakfast (think eggs, bagels and toast) and deli favorites like hot paninis and signature sandwiches. If you're in the mood for more Asian-inspired fare, appetizers include edamame, shrimp tempura and miso soup. There's also the five-step "Poke Your Way," in which you choose a base (rice or lettuce), a protein (like tuna, salmon and eel) and mix-ins (like cucumber, mango and masago). Each bowl is then finished off with your choice of sauce (we recommend the sweet chili or honey wasabi) and toppings, like seaweed salad, garlic crisps and scallions. With a 4.5-star rating out of 17 reviews on Yelp so far, Engimono Poke & Deli has been warmly received by patrons. 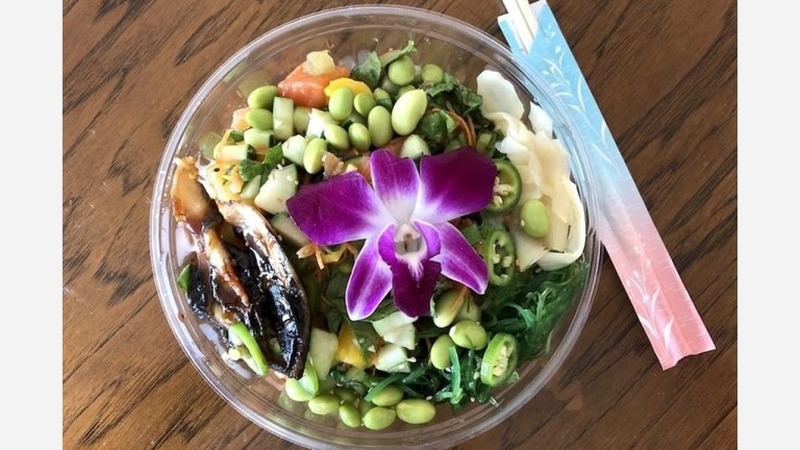 Claire E., who was among the first Yelpers to review the new spot on March 25th, said, "Incredibly kind staff, plenty of seating, amazing poke bowls--all ingredients were fresh and well-proportioned, and many choices of toppings. I left so full without a terrible dent in my wallet. Will absolutely be back." And Felicia C. said, "The tuna was so tender, the pineapple and mango perfectly sweet in the middle of winter, and the ginger not too strong! The owners were very nice and told us that they will soon be opening a backyard area that will be open to the sky. We took a peek and it looks like it will be awesome during the warmer months!" Head on over to check it out: Engimono Poke & Deli is open Monday-Saturday from 10am-9pm, and Sunday from 11am-8pm.